"At a time when most news agencies are closing foreign desks and tightening budgets for global coverage, blogging provides a glimpse into the lives of others available nowhere else." …My heart’s in Accra » Time’s person of the year: fat, ignorant and xenophobic? "New tools like blogs, video and photo sharing can make it possible to have a far deeper, more intimate view of life in other parts of the world… but only if we bother to look for these views." "What the media revolution and Web 2.0 have really done is create a new and interesting class of media. It's not mainstream - at least not yet - but it certainly isn't "You." It's actually more "Them."" Ok ok... David Isenberg and Mindy McAdams have both tagged me in this blogger game of "Five things people don't know about me." I feel rude ignoring them and feel I need to write something. 1. When I was little - probably around 6 - I was obsessed with the Walt Disney cartoon version of Robin Hood. I related to Robin Hood much more than to Maid Marian or any other female characters. In fact I can recall very few female role models from my childhood. Star Trek Voyager's Captain Janeway came too late. 3. When I was 10 years old I was obsessed with the Lord of the Rings. I returned to the books in 2003, to get my head away from that damn war. 4. I was concertmaster in Arizona's all-state high school orchestra, attended Tanglewood's high school program for three summers, and considered going pro on the violin as an orchestral player, but decided against it because having to practice 4-5 hours a day makes it hard to do a lot of other things in life. Every time I go to the symphony I feel a little wistful about the other path I might have taken. 5. In spite of what you might think given my career so far, I am naturally a pretty shy person. Ok... so... I hereby tag... Ethan Zuckerman, Georgia Popplewell, Boris Anthony, Neha Viswanathan, and Rachel Rawlins. There. Done. Whew. 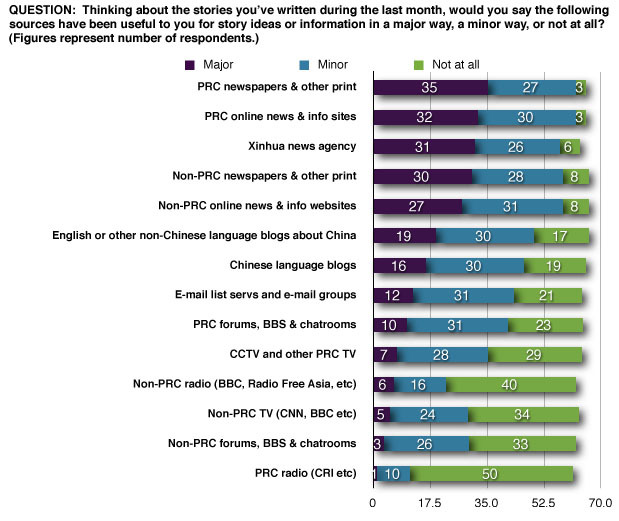 Last month I put out a survey of foreign correspondents who cover China to try and get a sense of how - and whether - blogs are impacting their coverage of China. Many thanks to the 70-plus journalists who took the time to complete at least part of the survey. Respondents included people from major news organizations headquartered in the U.S., UK, Singapore, Russia, Qatar, Poland, Italy, Hong Kong, Germany, France, Finland, Canada, and Australia. There are roughly 400 foreign correspondents accredited officially to cover China, plus an unknown number who do so more informally. So while the answer pool is not huge, I think it at very least serves as a useful "focus group" for the evolving relationship between China bloggers and foreign correspondents who cover China for the international media. 90% follow blogs. 61 out of 68 people said "yes" to the question: "For the purposes of work, do you or your staff ever read blogs written from or about China – either in Chinese or another language?" Most find blogs useful to spot emerging stories and as a general source of story ideas. I asked the question: "In what way do you find blogs useful?" and provided a range of options to select. On the right is a chart showing all the selections (click to enlarge). Top choices were: 1. "A way to find out about emerging stories sooner than I would otherwise;" 2. "As a general source of story ideas;" 3. "As a source of information that I can’t find elsewhere" tied with "As a gauge of China's popular culture "pulse". ESWN and Danwei appear to be substantially more important to correspondents than other English-language China-focused blogs. Of the 48 people who responded to this question, 66% said they read ESWN at least weekly; 61% read Danwei at least weekly. 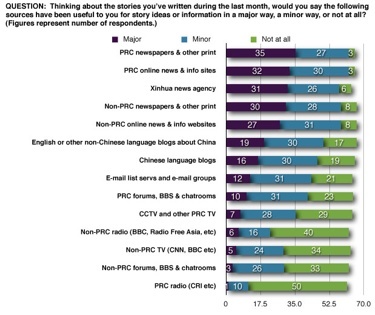 38% said they read ESWN "daily," with 25% claiming to read Danwei daily. While opinions differ as to whether China Digital Times (run from the University of California at Berkeley) is a blog or simply an aggregator of China news from other sources, it's useful to note for comparison and context that 15% said they read China Digital Times daily while 61% said they read it weekly or more. Click on the thumbnail above right to see the raw data breakdown from my survey software. As you will see by clicking on the chart and looking at all the other blogs, none is as widely read by journalists answering the survey than ESWN and Danwei. One respondent wrote: "ESWN is so much more important than other blogs that it almost deserves a category by itself. No other blog comes as close to serving as a bridge between Mandarin and English media." People also cited several story ideas they've gotten from Danwei. One journalist said she finds Danwei particularly useful because it follows Chinese media regulations very closely and links to original regulations. The list of choices was compiled by consulting a number of China-based journalists and asking them which blogs they follow regularly. Based on responses to an open-ended follow-up question, two additional English-language blogs that probably should have been included were the Chinese Law Prof blog and the blog written by Richard Spencer of the Daily Telegraph. 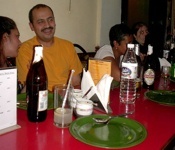 Blogs are somewhat more useful to foreign correspondents than BBS and chatrooms. 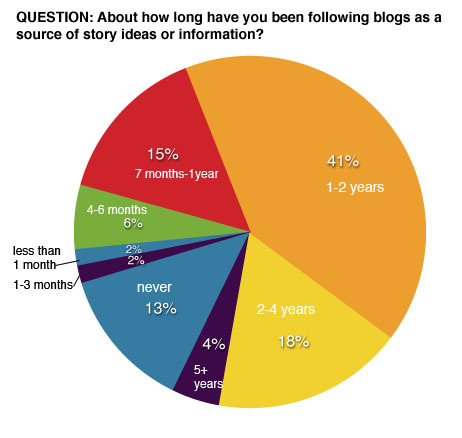 55 people who responded to the question: "Specifically, which do you find more useful in doing your story research: Blogs or internet forums and BBS?" 25 (46%) said blogs are more useful; 10 (18%) said BBS and chatrooms are more useful; 19 (35%) said they are equally useful; and one person said neither is useful. Many commented that they use blogs versus Internet forums and BBS for different purposes. Internet forums/BBS's are used more as a way to gauge the public mood, while blogs are used more for analysis - let's see what so and so has to say on such and such issue. Both are sources of story tips. Said one respondent: "We use blogs more for ideas and insights and internet forums more for getting a sense of how people feel about an issue." Said another: "They serve different purposes. Blogs tend to give you story ideas, angles and leads, as well as links to relevant BBS sites. BBS is more useful to gauge public opinions on major events." One Asian journalist who finds BBS and Internet forums more useful pointed out: "Interesting stories in the Chinese media are more often copied and pasted on to BBS sites. This doesn't happen as often on blogs." 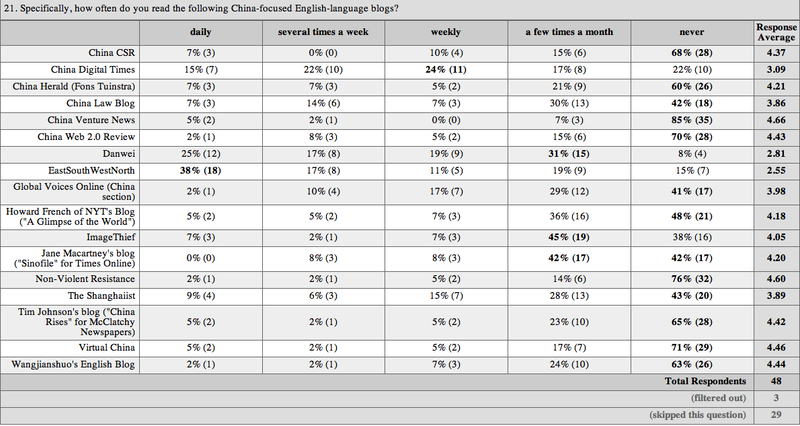 Most follow Chinese-language blogs: Of those who follow blogs: 57% usually ask Chinese staff to help follow Chinese-language blogs; 32% read Chinese language blogs themselves; 11% don't follow Chinese-language blogs but follow English or other non-Chinese blogs. 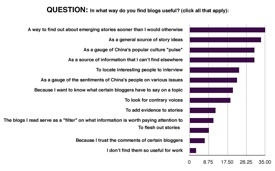 I did not ask people to select from some choices of Chinese blogs as I did with English because based on my conversations with journalists while drafting the survey I got the impression that foreign correspondents' reading of Chinese blogs is more diffuse and less consistent. 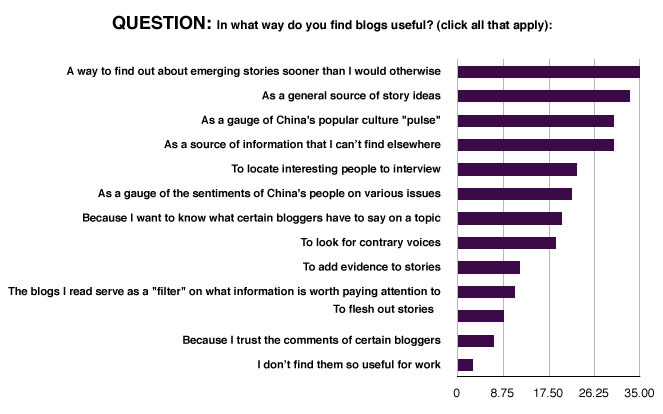 However I did ask people to list the Chinese blogs that they tend to read. Some said "prefer not to divulge" or "ask my assistant." Others mentioned the following (in no particular order) as being useful to their work: Academic criticism, Chen Danqing, Li Yinhe, Law Blog, Wang Yi, Cowblog, Tao Sixuan, Ministry of Finance blogs, Wang Xiaofeng, Family of Chen Guangchen, Keso's tech blog, Lian Yue, Bingfeng Cafe, Zhang Rui, ShiFeiKe, Luo Yonghao, Michael Anti, Zeng Jinyan, Nina Wu, Massage Milk, Pro State in Flames, and Hong Huang. CREDIBILITY QUESTIONS: Most believe it is impossible to answer question of whether blogs are more or less "reliable" compared to other media. Much is made by media pundits and scholars about the question of whether blogs are "credible" or "reliable" in comparison with mainstream media. So I asked two questions in this vein. The answers indicated that the question is essentially irrelevant when it comes to the reasons why journalists find blogs useful. The first question concerned Chinese blogs: "Compared to official PRC media, do you find the information on Chinese-language blogs to be: always more reliable; often more reliable but depends from case to case; equally reliable; often less reliable but depends from case to case; always less reliable; completely depends, impossible to generalize; don't know. Of the 49 who responded to this question 21 (43%) chose "completely depends, impossible to generalize." Equal numbers of people (11 or 22%) chose "often more reliable but depends from case to case" and "often less reliable but depends from case to case." Two people each chose "always more reliable" and "equally reliable." Official PRC media are by definition not reliable as theyr are a state source, but good to use as such. Blogs quality depend on a personal factor, and very often authors are not bound by any professional journalistic technique or ethics. They are motivated by personal, ego, political or other motivations, and reflect this goal. Therefore they are to be used as an inspiration for stories or good quote material, not as a reliable news source. Of course, they can be first on news stories when these news are suppressed by official media, but generally cannot be considered as a bona fide news source themselves. Blogs are great for watching topical issues emerge and get dissected, and for aggregating news from a variety of other sources, but they don't necessarily verify the information they serve up. But blogs shouldn't be expected to do this -- it is up to the end-user of the information to decide what to do with it, including verifying sources and facts. the blogs often aren't reporting spot news, so it's hard to speak of reliability. it's more opinion and commentary, and if you follow a blog over time you get to know who generally knows what they're talking about. where it sometimes is 'spot news' a good example would be danwei linking to new regulations on chinese media, for which i would be thankful for the tip-off, but then hope to look for the original of the regs myself. i wouldn't cite a blog on spot news, for example. they're often more just to stay plugged in in a general way. eg. say i spend a week with my head in nothing but the china-africa forum, a few clicks on danwei and eswn and a couple of others give me a quick idea of what's on people's minds in other areas. Reliability isn't what draws me to some blogs. For instance, I look at Roland Soong to see what's cooking in all sorts of spheres that I would never see otherwise. It's a virtual news tip sheet. Some of it is translation, so reliability may be a big question. But Roland does a huge service by bringing it to our attention. This is very much the way I have tended to describe the relationship between blogs and journalists: journalists approach blogs as raw sources. Thus asking whether blogs are reliable is just as useless as asking whether people are reliable. Each tipoff or story idea coming from any human source must be judged in a very specific context: Does that person have any real expertise in the subject at hand? Is his/her knowledge first, second, third or fourth hand? Does he/she bear a grudge or conflict of interest? What is his/her agenda in telling you the information? Etc. I'll be writing up these results, with some more follow-up and analysis, in a more formal academic paper which may get published sometime later next year - at the earliest - given the speed of academic publishing. Meanwhile I thought it would be useful to post some of this relatively raw data because I know that many of the journalists who took the survey are curious about the results. Please feel free to post your reactions and any questions in the comments section by clicking the "comments" link below. As the Global Voices team held our second annual summit in Delhi this weekend, TIME magazine dedicated its "person of the year" to YOU: people around the world who are taking media creation into their own hands. The TIME article praises the individual "for seizing the reins of the global media, for founding and framing the new digital democracy, for working for nothing and beating the pros at their own game," etc. The article concludes: "This is an opportunity to build a new kind of international understanding, not politician to politician, great man to great man, but citizen to citizen, person to person." That, in a nutshell, is exactly what Global Voices is all about. The problem is that the "new kind of international understanding" that TIME describes, a world of true "citizen to citizen" communication, remains a still-distant dream. The reality is that Web2.0 - and the potential for empowerment that it represents - remains largely inaccessible to large numbers of people on the planet, and is not being accessed by many more, for many reasons. How do we help more people become creators of their own media? What kind of outreach can Web 2.0-savvy citizens provide to the still-uninitiated? How do we bridge massive and endless barriers of language and culture? Are the technical tools accessible enough to the next billion Internet users, or are we in need of new solutions better suited to the developing world? And how about people who are being prevented from speaking - or being heard - by governments, corporations, and other powerful entities? These were exactly the questions we tackled during our public meeting on Saturday. - Global Voices right now is in English (translating what content it can from blogs in Arabic, Persian, Chinese, Spanish, Portugese, French, and Russian) but it needs to be in many other languages. Right now there is a volunteer-driven effort to translate GV into Chinese. Many people in our community feel strongly that much more translation needs to happen, and it appears that at least for some of the languages there is a great deal of enthusiasm. The challenge now is for people to take the lead in building new translation teams to make this happen. - Teaching people how to blog or create media isn't enough, as Salam Adil explained in the fourth technology session. People need to be able to speak and be heard without fear of reprisal if their thoughts aren't in line with their government's. They need tools to get around censorship - both in terms of expressing themselves and in accessing the works of others. There is also the issue that many people in many countries aren't aware of what their governments are actually doing to limit speech or access to information on the Internet, and thus even in many democracies, there isn't enough public pressure on governments to be as open as possible. Global Voices is about to launch an advocacy arm, thanks to some funding from the Dutch development organization, Hivos, which will enable members of our community to work directly on these issues. Be sure to read Nathan Hamm's summary of our introductory Session 1, Ethan Zuckerman's account of Session 3 on translation, and Sameer Padania's summary of Session 4 on tools and technology. A summary of Session 2, focusing on outreach, should be coming soon. There is also a conference blog put together by Ange, one of our community members participating remotely from Dubai. Sunday's meeting was a closed-door session for Global Voices editors and authors only. We rolled up our sleeves and discussed how Global Voices authors and editors can do an even better job at amplifying citizen voices from around the world. We are working on a major re-design of the site to make it more user-friendly (and less overwhelming); we are also developing a new public aggregator of all the blogs that our editors and authors watch in order to compile their daily links and features. As we realized last year, GV is not just a media site but a conversation community. Many of our authors and editors discussed strategies for community building: specifically, how to support communities in their own countries, regions, and language groupings comprised of people who want to communicate with a broader global community of conversation. People are taking initiative to carry out ideas that we could never have imagined just a year ago. We've always known that the individuals who work on GV are talented, passionate, creative, and articulate, but spending two days with this diverse collection of characters was humbling. As co-founders, Ethan and I were excited to see that authors and editors have taken real ownership for the project, enabling the two of us to step aside when it comes to leading Global Voices and representing it to the public. We are very happily receding into backstage supporting roles: fundraising and doing the legal groundwork to transform Global Voices from a project under Harvard's Berkman Center to an independent non-profit organization. This weekend's meeting also drove home the importance of face-to-face meetings even for a virtual organization like Global Voices. The Web has helped us find one another and has enabled us to work together in ways that would otherwise be completely impossible. But for the people who are devoting many hours every week to curating the global conversation on Global Voices, there is nothing like sitting down over curry and beers for building trust, camaraderie, commitment, and a feeling of shared ownership of the project. People who are not very familiar with what we do often make snyde remarks about how strange it is that bloggers find it necessary to meet in physical space - as if the need for face-to-face meeting somehow proves the limitations or inadequacies of what we do. These remarks completely miss the point, of course. Global Voices may be a virtual organization with no physical headquarters (and no plans to create one), but what we do is ultimately about building understanding - and ideally dialogue - between real flesh-and-blood human beings and physical human communities. We are not just generating chatter amongst avatars and usernames and online personas. We are not creating an alternative universe or online cyber-utopia into which our members escape from the realities of our daily lives and the problems within and between our countries. We are using the Internet's virtual space - and the creation of online citizens' media - as a means to a very physical end. The Web connects the physical human beings at the ends of it who are using it as a channel to express themselves and reach out to one another. When we as individuals can all create our own media, not only do we find each other and organize more easily around common causes. By taking control of our own narratives, our own stories, we gain greater control over how others perceive and define us. This in turn will make it more difficult (we believe) for outsiders to impose unwelcome, unsuitable, unjust or violent policies upon us - all of which are made much easier when mass media is used to stereotype, pigeonhole, and dehumanize us. We use the Web not to escape our humanity, but to assert it. There is a webcast and online chat. You can find out all the details of how to connect on this page. We believe in free speech: in protecting the right to speak -- and the right to listen. We believe in universal access to the tools of speech. To that end, we want to enable everyone who wants to speak to have the means to speak -- and everyone who wants to hear that speech, the means to listen to it. By the following summer, the blog that we had originally created as a discussion place for conference attendees had morphed into the Global Voices Online website: an edited aggregator of weblogs from all over the world except North America and Western Europe (the idea being that voices and views from N.America and W.Europe get disproportionate attention not only in the International media but on the global web). The blogs we link to on the site are curated, contextualized and in some cases translated by our amazing group of regional editors and translators. 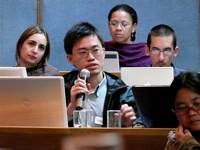 Roughly one hundred volunteers from all over the world provide in-depth coverage of the discussions taking place in their own countries' blogospheres. Enough people seem to find it useful that we now have over one million visitors per month, and we recently won the Knight-Batten Award for Innovations in Journalism. At last year's summit in London, it was clear that Global Voices is much more than a citizens' media website or international bloggers' network. It is a community. And it is a movement of people who are united by the values of free speech, tolerance, dialogue, and inclusiveness articulated in the manifesto. At this year's Delhi summit, we look forward to celebrating our accomplishments. Our closed meeting for editors and contributors on Sunday will get down to brass tacks on how to make the website better. Most of our public meeting on Saturday, however, will be devoted to a disscussion of the challenges our community wants to tackle in the coming years or two: How do we bring more people, not just wired elites, into the global discourse that is facilitated by the Internet? What kinds of technical tools need to be used, adapted or developed in order to bring the less-wealthy into the global conversation? How do we help people speak when their governments or other powerful groups don't want them to? How do we overcome language barriers? In order to tackle these challenges, Global Voices will need to become much more than a citizens' media organization. Over the coming year we hope to build teams devoted to outreach and free speech activism. 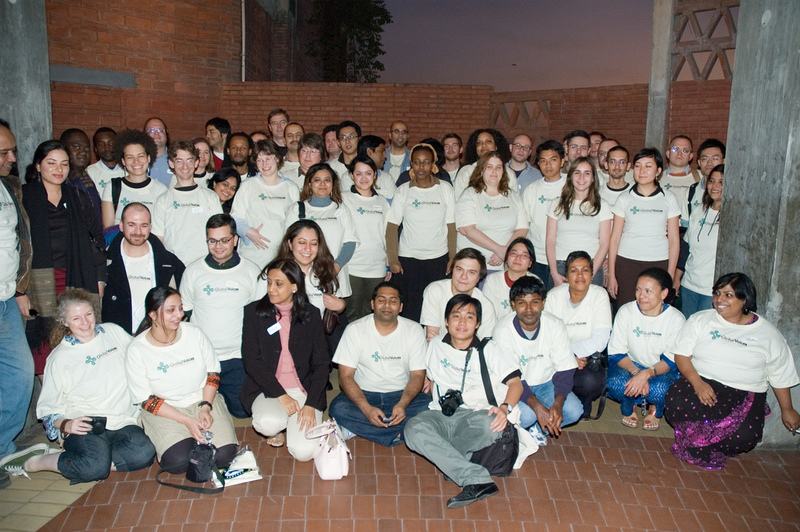 The Delhi meeting will be an important time to discuss how we want to focus our new outreach and activism efforts. In 2007 we are hoping to raise sufficient funds to establish ourselves as an independent non-profit - which means that by 2008 if all goes as planned we will no longer be hosted by Harvard's Berkman Center and we will most likely not be "headquartered" in the U.S. (to the extent that we are headquartered anywhere as a virtual organization). 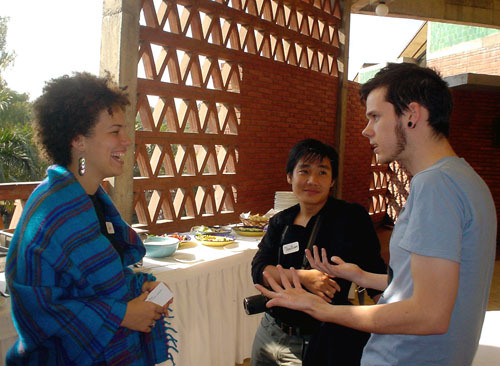 In 2007 Ethan and I, as co-founders, also hope to step onto the sidelines as much as possible. It is not appropriate for the two of us to be leading Global Voices in the long term. It is time for others - people from the communities that Global Voices has sought to amplify - to step forward and take the lead in deciding the future of Global Voices. Greensboro News & Record editor John Robinson gives his wish list for journalism in the coming year. Item No. 1: "That a true participatory culture kicks in." More additions in response to John Robinson's journalism wish list: that college newspapers become college news communities, and that campus media should "all become centers of innovation." Mindy McAdams lays out her thoughts about how online concerns need to be integrated into the newsgathering and editing process: "The reporter and the print editor both have to do their part and think intelligently about the online potential for the story. 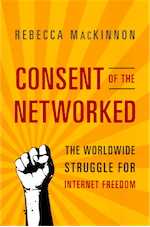 EastSouthWestNorth: What Is The Net? "SceneMaker, A new video-sharing tool from Gotuit lets you identify scenes within videos from YouTube and Metacafe, then share just those scenes with your friends. You can also add tags to the scenes to better identify the content within the videos." New University of Chicago newspaper study: "they showed that the main driver of any slant was the newspaper’s audience, not bias by the newspaper’s owner." University of Chicago study concludes: "Our analysis confirms an economically significant demand for news slanted toward one's own political ideology." PDF of original paper is here. My colleagues Ethan Zuckerman and Boris Anthony have put together a new "Global Voices Web" search using the new Google Co-op platform which enables you to create your own search engine. Check it out. You can find it in the yellow search bar near the top of the page right under the infamous "tag cloud" (which will likely change in the upcoming redesign). In addition to being able to search all of the Global Voices site itself or all of Google, now you can also search "the Global Voices Web." Right now, that includes about 4,800 blogs that our Regional Editors follow each day, and from which they select their "Daily Links". In other words, when you use this search function, you are searching all the blogs that we regularly link to or which our editors have found worth following. GV doesn't cover North America and Western Europe because we believe the views of people from those parts of the world get disproportionately more attention on the world wide web and in the global media than people from all other regions. GV is meant to be a small effort towards counter-balancing that imbalance. Thus the search includes few blogs from N.America or W.Europe except for blogs by members of various diasporas currently living in the West. The point is to have a search that covers the same footprint of online citizen media that GV covers. After a week of some serious engineering, we believe we've made searching on Ethan's Custom Search Engine -- and all CSEs, for that matter -- much, much better. In particular, Ethan's search for Ghana, which originally returned only three results, now retrieves a much healthier number. All around, you should see much better performance in the quality of the search results. The reason is fairly complex. Custom search engines are based on approximation algorithms that aim to search over the entire contents of the sites you specify. As with all approximations, there is always room for improvement. We're constantly working on our algorithms, and your search engines will continue to get better. If you see any anomalies or problems, please let us know. We want to hear from you about what is and is not working. Google Coop Search is now a reasonable solution to my search problems, removing a particularly thorny problem from my “to do” list. But it’s also good news for Google as a whole, and anyone using their tools. It’s a really good sign when engineers are watching reactions to their products closely, monitoring the blogosphere, and proactively solving problems that users are identifying. What impresses me even more is that I didn’t file a bug report about my experiences with custom search, or attempt to twist the arm of anyone I know who works at Google - this was the team’s response to my observations about the tool. Thanks for solving my problem, folks. I’m impressed, not just by the re-tuned approximation algorithms, but by the way you guys are doing business. It's pretty exciting to be working on a project that has enough influence that we can impact Google's products - to the benefit of everybody using them, I hope. Note that our search is still very very "beta." Because it was constructed by importing the feeds from editors' aggregators, we had to weed out a bunch of non-blog and off-topic feeds (news sites, U.S. tech blogs, and things like that). If you try it out please let us know if there are any non-blog or off-topic sites we've failed to weed out or if there appear to be glaring omissions. I'm sure it is far from perfect at this stage which is why we need as many people as possible to test it out and let us know what's wrong. As Ethan explains in his blog post about this new search function: "a future version will include all the sites we link to on GV, which should expand the collection quite a bit. And an even further off version will integrate with the giant aggregator we’ll be offering on the site next year, which will let you look at new posts from all the countries we cover, as well as offering suggestions for feeds we should be watching - the blogs covered by that aggregator will be the same blogs tracked by the search engine." Please help us make it better. There is a lot to tweak, no doubt. In playing with it just now, one thing I want to improve is to return the results in some kind of chronological order so that the most recent blog posts show up at the top. Right now you have to resort to hacks like putting in "2006" along with the rest of your search terms if you're not interested in posts from 2005 and 2004.